The Compelled Educator: How Do We Know that a Decision We’ve Made as Parents is the Right One? How Do We Know that a Decision We’ve Made as Parents is the Right One? Did you ever take those tests in school that had multiple choice questions and all of the answers seemed like they could be the right one, and the teacher asks you to choose just one - the best one? That's what parenting is like. Near the end of the school year last year, one of our freshman students got in trouble in one of his classes. His teacher said that he had been dancing on a table in the classroom, and he and another student had been disrupting class. When I called the boy’s mom about it when it happened, she said then that she was going to take him out of our school and move him to a private school. I asked her then not to make the decision yet. Just before school started this fall, the boy’s mom came to see me to talk about their decision. She wanted to know why I had asked her to wait. I told her that it was the first time he had done anything like that at school, and that I wanted her and her husband to make a good decision for him and not an emotional, knee-jerk reaction. She talked to me about their family dynamics, the things they had told their son last year and this year about consequences for his behavior. They had told him at the beginning of the school year last year that if he had one incident of getting in trouble, then they would put him in a private school. She was afraid that if they didn’t follow through, it would send a wrong message to him. She also shared that he had been irritable and rude at home during the summer. She wanted affirmation. She needed assurance that the decision they were making was the right one. I feel I have no right to judge. When I try to put myself in another parent’s shoes, it’s nearly impossible to do. I can’t understand the nuances, the silent messages, the dynamics, relationships, and behaviors that have happened throughout the years of raising their child. What I have learned, though, is that parents (for the most part) are always trying to do what they think is best for their child. Decisions are judgment calls, some with more consideration than others, and we just have to live with those decisions. For some of them, we look back and realize we should have made a different decision. For some decisions, we cheer for ourselves for getting it right. We get different opinions, we read parenting books, we read blog posts and articles, and sometimes we ask our own parents. 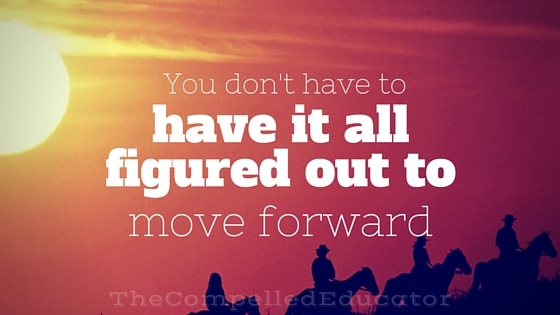 In the end, we do the best we can, and we have to keep moving forward and learning from every situation. She did withdraw him out of our school that day. I often think about their family and the struggle they went through in the situation. I believe that all parents have times where they aren’t sure that what they decide on for their kids is the best decision. We just have to learn all we can about the situation, learn as much as we can about what’s best for kids, and go forward confidently in our decisions. I always say, you make a decision and then CHOOSE to make a good one. Thanks, Tammy, for stopping by and leaving a comment! What if You're Teaching Thomas Edison?